Easton Studio Press, 9780979824869, 112pp. Kim West, LCSW-C, is the mother of two and a licensed practicing child and family therapist for more than sixteen years. 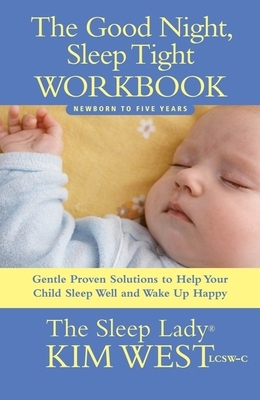 Known as The Sleep Lady(R) by her clients, she has helped thousands of tired parents all over the world over the past twelve years to learn to listen to their intuition, recognize their child's important cues and behaviors, and gently create changes that promote and preserve his or her healthy sleep habits. She has appeared on Dr. Phil, TODAY, NBC Nightly News, Good Morning, America, TLC's Bringing Home Baby, and CNN, and has been written about in a number of publications, including the Wall Street Journal, Baby Talk, Parenting, the Baltimore Sun, USA Today, and the Washington Post. West hosts the sleep section of The Newborn Channel, which is played in maternity wards in hospitals across the country. She has traveled the USA and Canada, giving lectures on the importance of sleep for children. She lives with her family near Annapolis, Maryland.